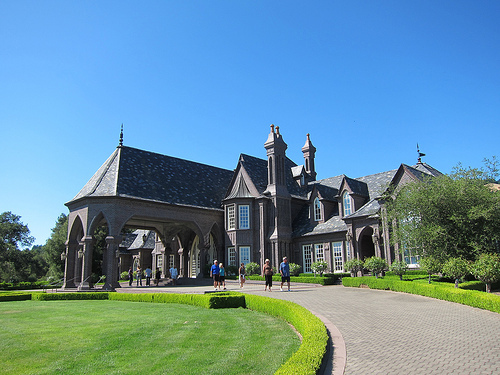 During my last trip to SF, we did a day trip out to Sonoma Valley. We decided to try to hit a few wineries in Santa Rosa. 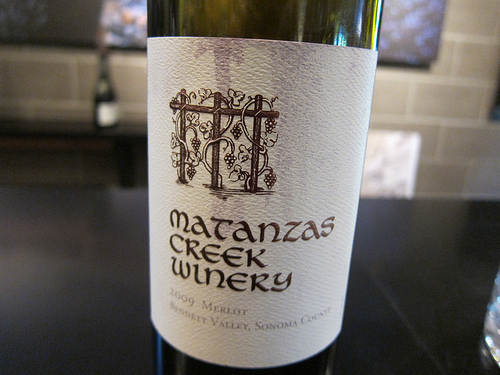 After lunch at Rosso, we hopped over to Matanzas Creek Winery. 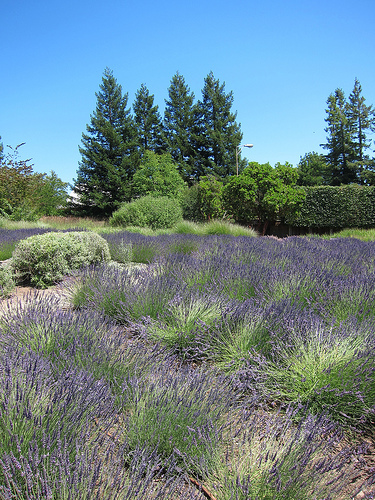 The highlight of this winery (besides the wine, of course) is the vast lavender garden. It’s just fields and fields of lavender. I love lavender and it was so peaceful to see the purplish-blue bushes everywhere. We stopped to admire the other flowers as well before heading up to the tasting room. It was fairly crowded but they jovially told us to squeeze on in. The wines we tasted were good though I didn’t fall in love with any of them. Perhaps I’m just too much of a cocktails girl at heart. After Matanzas, we stopped in at Ledson Winery & Vineyards in Kenwood. 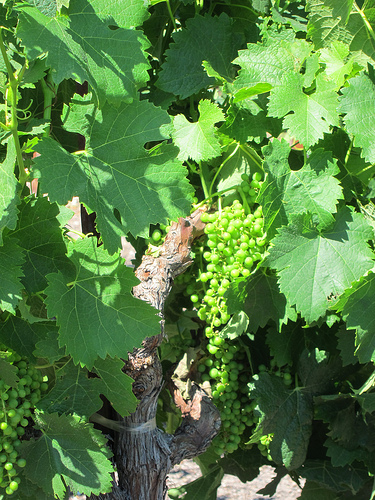 Along the pathway to the large manor, we saw rows and rows of grapes. It was a picturesque scene, very bucolic. I have always wondered if it was true the wine grapes are not good eating grapes but I did not ask to find out! I did want Greek food all of the sudden though seeing all the grape leaves. Ah, where to find the nearest place for dolmas? It was near the end of the day so the tasting room wasn’t too crowded. We were welcomed and were led through a tasting by a knowledgeable guide. My friend had been asking everyone why people didn’t save white wines to age before drinking. Some had responded with varietals that would work okay but Ledson actually tried their best to answer scientifically. I probably wouldn’t want an aged white wine anyway. And champagne or sparkling wine? Forget it! 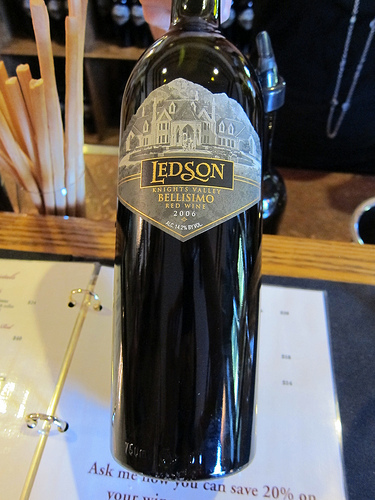 Ledson’s Bellismo was really fantastic and I seriously considered a bottle but it’s slightly out of my price range. Maybe the booze fairy will leave it under my pillow one night. This entry was posted in alcohol education, alcohol tasting, bar crawl, history, the minty, travel, wine and tagged kenwood, santa rosa, sf, sonoma, sonoma valley, the minty, travel, vineyards, wine, wine tasting, wineries. Bookmark the permalink.